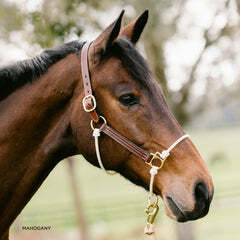 Most horse halters don't provide leverage, or do so unpredictably, either because they shift around too much on the horse's face (as with a rope horse halter), or because they are made of flat material that is easy for the horse to push on (which is the case with nylon halters and leather halters). 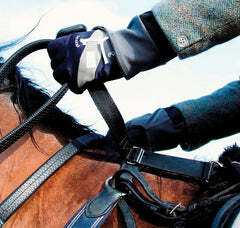 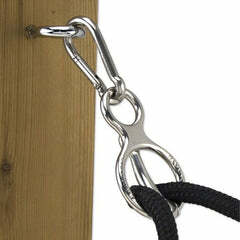 The fit of these horse halters is hit or miss and cannot be adjusted for greater control. 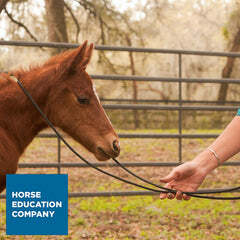 The patented design of the Hybrid Horse Halter from The Horse Education Company however ensures both a precise fit and the ability to quickly adjust for greater control of the horse's head. 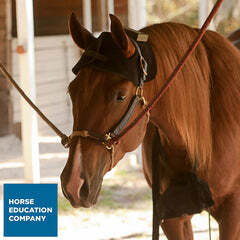 Simply by adjusting the fit of the halter's poll strap, you have all you need to adjust the training results of the Hybrid Horse Halter. 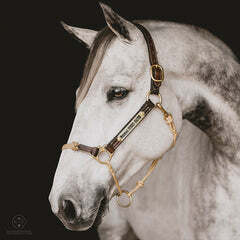 By adjusting the fit of the halter up or down your horse's nose, you can can more leverage on different parts of the horse's face. 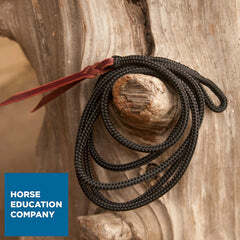 A higher fit will give you more leverage on the horse's jaw (which can be helpful for a horse that wants to pull backward), while unbuckling the halter's poll strap and letting it hang farther down the nose will give you more leverage on the horse's nose and more body control. 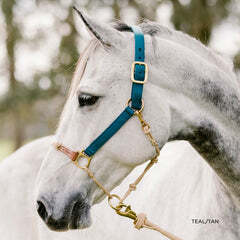 The Hybrid Halter includes a sliding ring on the chin which stabilizes the halter from shifting and a rope noseband with pressure knots that makes it mildly uncomfortable for the horse to push on. 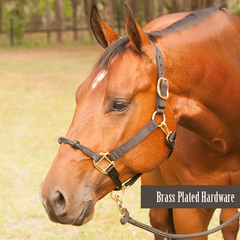 These features provide the Hybrid Horse Halter with a variety of practical advantages over other horse halters, including trailering and crosstying safety, lungeing convenience and greater training control. 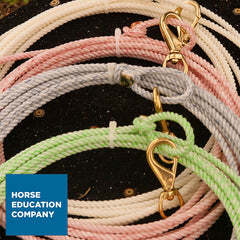 Granted an official design patent in 2016, the Hybrid Halter is available exclusively through The Horse Education Company and authorized retailers. 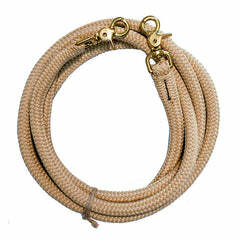 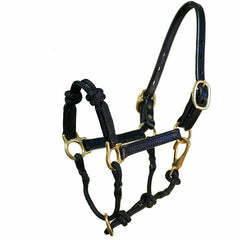 Styles available include a nylon halter, a leather halter, as well as personalized halter options. 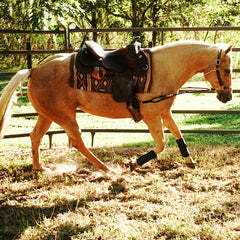 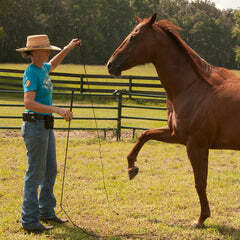 For more information, visit The Horse Education Company online or call (888) 762-5701.